For many of our neighborhood small businesses, accessing capital can be a quest. With proper training and coaching, the journey can be made easier. In our 4-week series our trainers will provide you with the tools and resources necessary for success, while our coaches will help you implement and help keep you motivated for the same. Get your running gear, stretch up and tune in to learn how your Quest for Capital can be made easier. The series will air every Thursday during the month of June. Tune in to WVON 1690AM to learn how we can help you get and stay fit for your Quest. As part of the Quest we will award two (2) small business owners with cash awards up to $2,500. Submit your Quest for Capital Application for a chance to receive this award. **Deadline for Entry is Thursday, June 25th by 5:00 p.m. 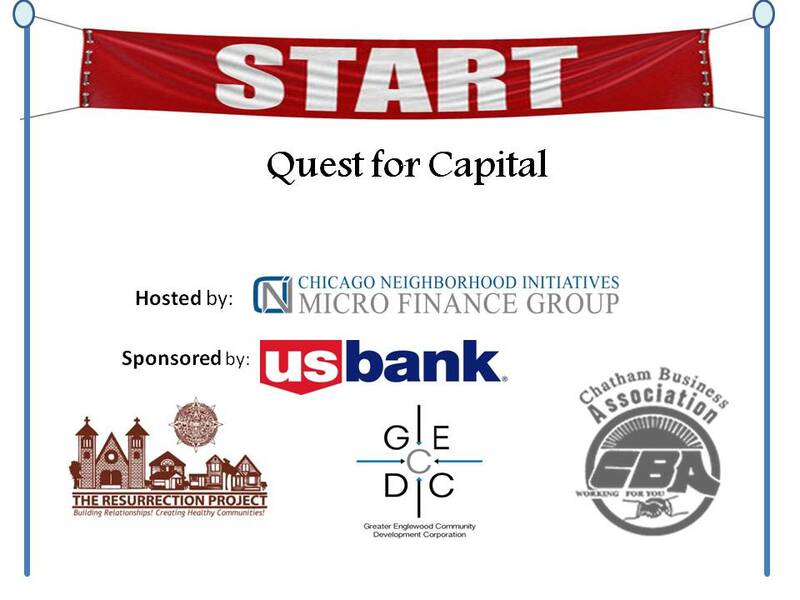 Send applications to questforcapital@cnimfg.org , mail to Chicago Neighborhood Initiatives 1000 E. 111th Street, Chicago, IL 60628 or via fax at (773) 341-2069. At the end of the 4-week series, CNIMFG and its partners will host “The Starting Line” on June 27th where finalist will be selected. Click here to register for the event.